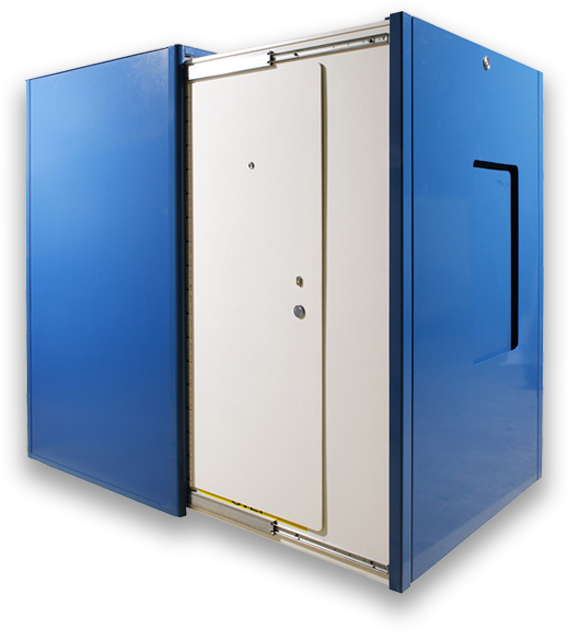 Having developed the telescopic armoured enclosures called 'Pods' in 1996, Bastion has installed more personnel-protecting security enclosures, than any other provider and is the market leader in flat-pack / modular systems in the UK. 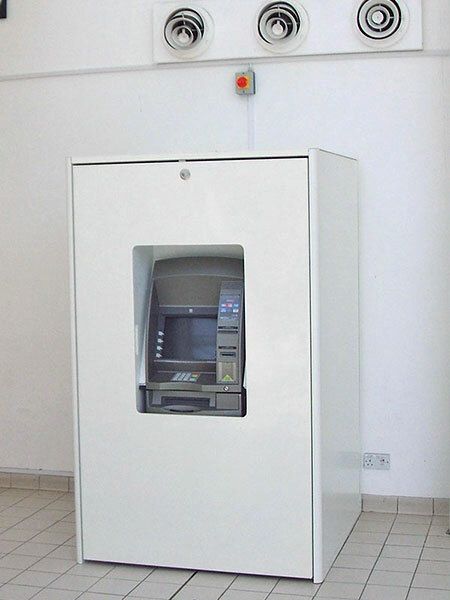 Within the telescopic design, are versions for through-the-wall and lobby-type (front-fill) ATM's. 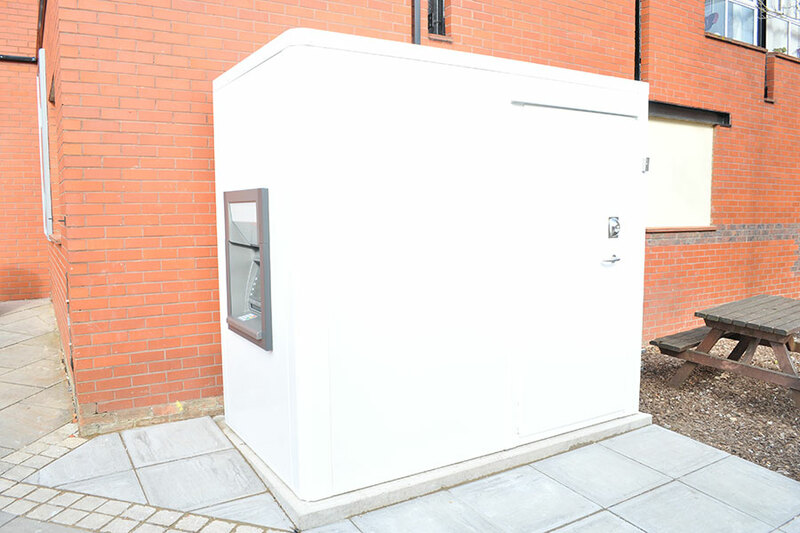 All products can be delivered flat-pack and built on site in a few hours. External rooms are usually delivered factory-built. 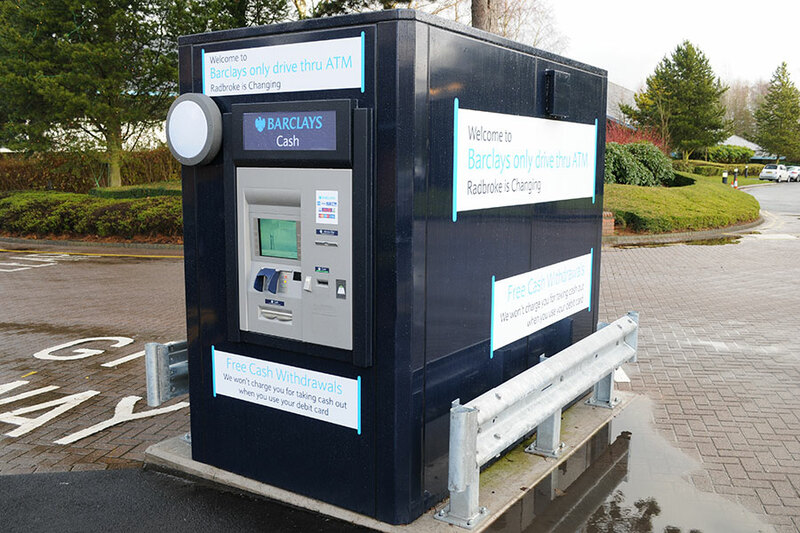 Drive up ATM facility for BARCLAYS using the BastionWALL system. Delivered factory built. 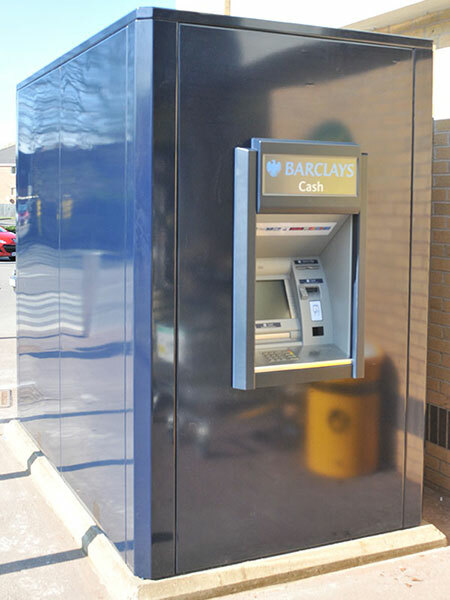 Single external ATM room with rear door access, for BARCLAYS. 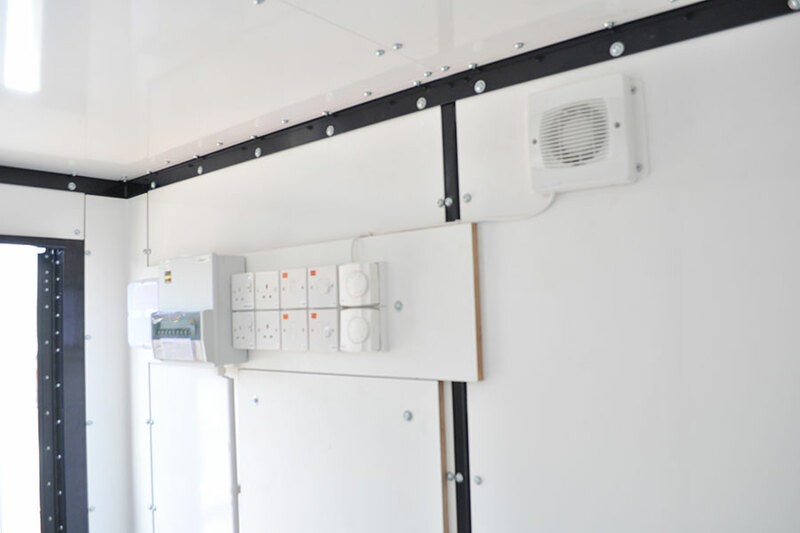 Delivered factory built these units come complete with a pre-wired electrical board, heating and lighting. 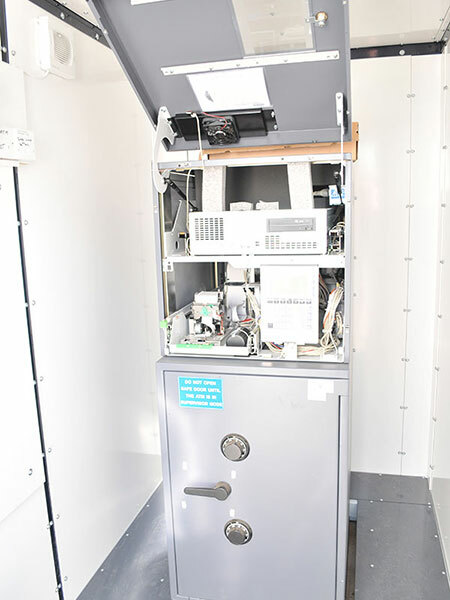 Internal view of a static, external ATM room. 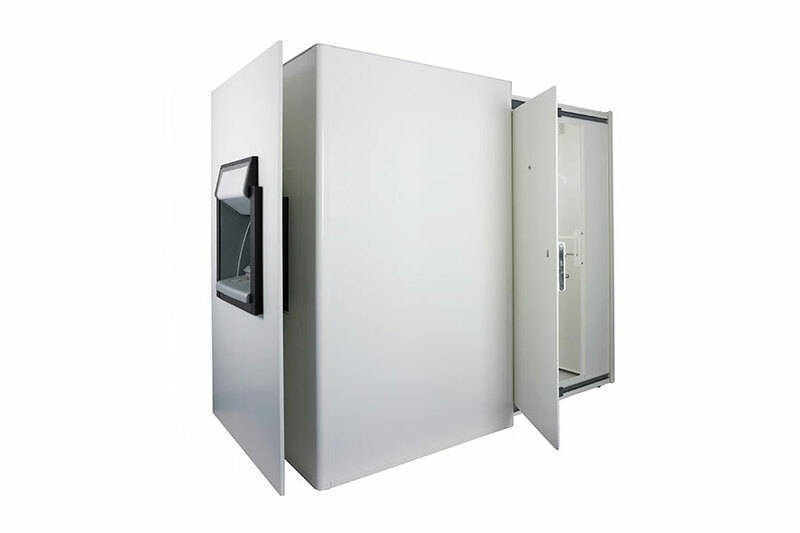 BastionWALL single ATM room with side access door. Door position is variable. A typical electrical provision inside an external ATM room. 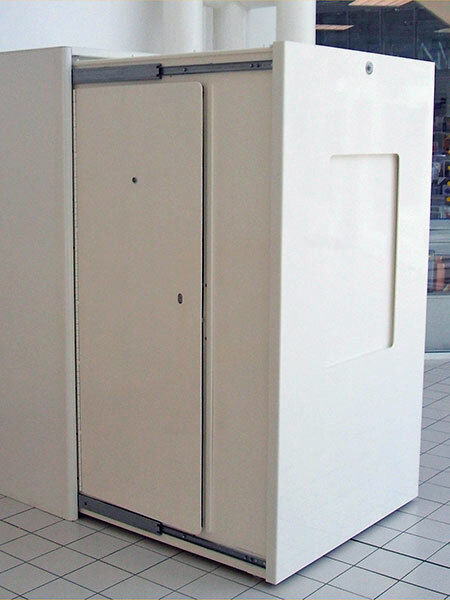 The M5F telescopic pod design with inclusive storage above the ATM. M7 telescopic pod in use. Note lower half of ATM in behind 4m of ballistic steel. M8 (side ascender) telescopic pod for through-the-glass or wall ATM's. 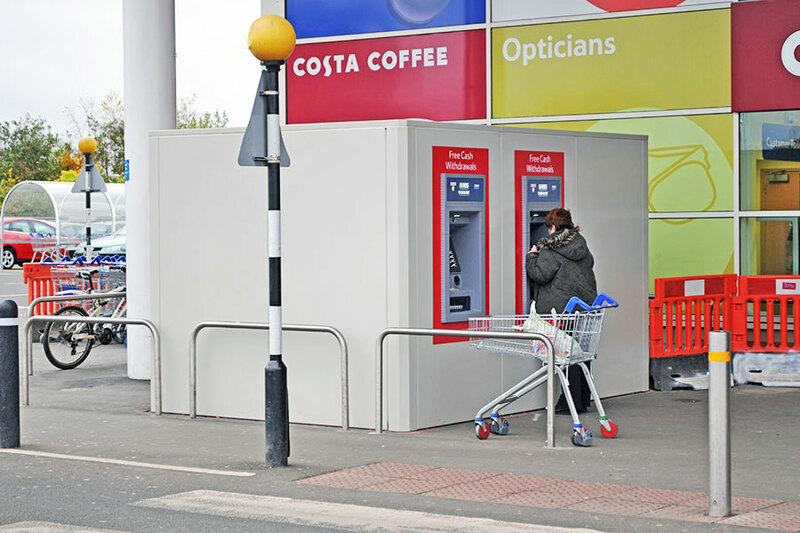 Double ATM room for TESCO using the BastionWALL system. Delivered factory built. 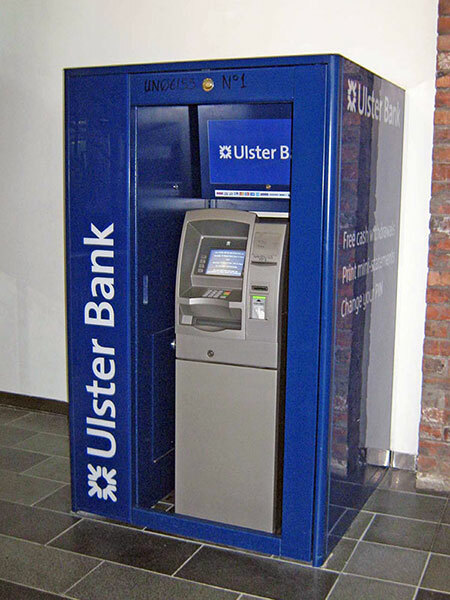 The M7 telescopic pod protects the lower, safe area, of a lobby type ATM. Shown here deployed for cash replenishment.